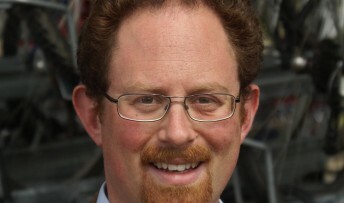 Cambridge MP Julian Huppert has welcomed initiatives to help families, boost home ownership and support businesses announced in the Chancellor’s Budget. He said the Budget delivers Lib Dem policies to invest in the future of the country’s economy and deal with the financial problems inherited from Labour. The decision to deliver the £10,000 personal tax allowance from next April – one year earlier than planned – is extremely good news he says. “This means ordinary working people will get a further tax cut a year earlier than planned bringing the total tax cut to £700 a year,” he said. “Low earners will be lifted out of paying tax altogether following a promise we made on the front page of our election manifesto. “That’s 3,920 poorly paid people in Cambridge who will now not have to pay any income tax at all. People earning less than £10,000 per year need our help, not income tax bills. “At the same time, we’re cracking down on tax dodgers to make sure everyone pays their fair share. Julian said he was encouraged by the £5.3 billion package to boost home ownership and kickstart the building of new homes. Julian also welcomed help for small businesses following the announcement of a £2,000 employment allowance towards the National Insurance contributions for those companies which wanted to hire their first employee or expand their workforces. “This is good news for Cambridge,” said Julian. “These small businesses are our future and they need the right incentives to allow them to succeed and grow. This has been a tough climate for them with the banks reluctant to lend and they need all the help they can get. “I’m also particularly pleased to see an end to the beer duty escalator; this will help pub goers and landlords.